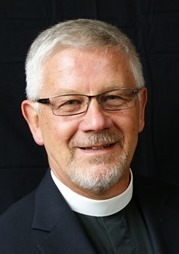 This year’s Fall Clergy Retreat will feature the Martin L. Smith, who is well known throughout the Episcopal Church and beyond as a preacher, retreat leader and writer of a number of widely read books exploring contemporary spirituality, including Reconciliation, The Word is Very Near You, A Season for the Spirit, Love Set Free and Compass and Stars. His most recent book, written with the Rev. Julia Gatta, is Go in Peace: the Art of Hearing Confessions. A priest for more than four decades, his home in Washington is the base for a roving ministry of spiritual formation. Thomas Merton summed up our Christian baptismal spirituality when he urged, “You start where you are, and you deepen what you have, and you realize you are already there. Everything has been given to us in Christ. All we need is to experience what we already possess.” We are already in the deep end in God through our baptism, and in this retreat we can hear the call to take the plunge once more into the experience of God’s desire for us, his “wanting-to-be in our lives.” We can re-experience our given baptismal oneness with Christ. We can re-sense the Spirit’s indwelling and active incentive to experiment and create. Our great co-mission is to draw people into taking the plunge into a living experience of Father, Son and Holy Spirit, and so we need occasions like this to dive back ourselves into depths from which our fears, routines and preoccupations can easily lure us away.